It’s no secret that there are many problems with the criminal justice system in America today. The way in which people of color are profiled by police and face disproportionately higher rates of incarceration have been publicized widely in the news and in films, both narrative and documentary. What hasn’t yet come into focus in cinema as prominently is what happens when white citizens without a badge commit crimes against people of color and then face no consequences even and especially after going through the legal process. 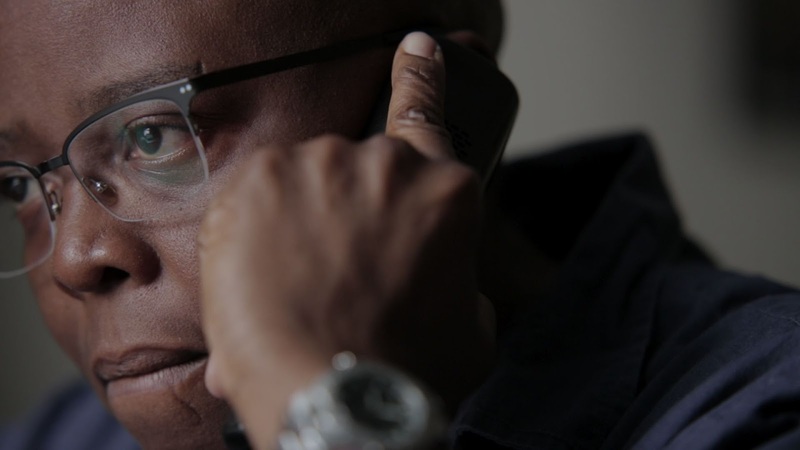 Filmmaker Yance Ford brings to light a deeply personal story, that of his brother, William Ford Jr., who was killed at age twenty-four by a nineteen-year-old white mechanic. Ford profiles his own upbringing, describing his parents’ arrival in Long Island to the relatively segregated suburb of Central Islip and his father’s dedication to his job as a subway conductor, driving the train through bad areas while his mother worked to help set girls getting out of prison up for success. The quickness with which his brother found himself murdered is followed up by a trial that remarkably sets his killer free, with seemingly little interest from anyone other than the victim’s family in justice being truly served. Ford is well aware of the fact that his audience may be coming in with preconceptions of their own to this story, and he makes sure to put everything on the table in the way that he frames it. He admits that, with no intention to offend those behind the camera, one person he references looks like “every white man I’ve ever seen,” and spotlights his mother’s shock that jury members were reading books and magazines when she testified, completely uninterested in anything she had to say. There’s a lot that this story says on its own, and Ford makes sure to dig deep into all of it, zooming in on his and other interviewees’ faces to emphasize the way that recalling these events makes them feel and the lingering impression it has left on them. Ford makes history as the first openly transgender man to earn an Oscar nomination, a part of his history that he incorporates well into the film as just another element of his experience. The in-depth examination of legal terms and entities like a grand jury and the way that this all played out is particularly impressive, and it’s most effective as a representative example of the prevalence of racial injustice in today’s society, brought to light in an Oscar-nominated film that should gain exposure to a wide audience.